The NV Sports app offers lines, point spreads, and odds generated by the sports book operators at South Point. Accounts may be funded at Rampart Casino, but this is essentially the sports wagering app for South Point. South Point also offers a separate mobile app for wagering on horse racing. South Point sports book is helmed by two of the most legendary names in Nevada casino sports betting history. Chris Andrews and Jimmy Vaccaro create some of the fairest sports wagering opportunities in the state of Nevada. The NV Sports app comes in handy since both locations to fund accounts are away from most of the tourist activity in Las Vegas. South Point is about 15 minutes away from the tourist corridor on the Vegas Strip. Rampart Casino is about 20 minutes away from the Vegas Strip in Summerlin. Funding an NV Sports account allows sports bettors enjoy their favorite places in Las Vegas without spending a day away from the action. The NV Sports app uses software created by Computerized Bookmaking Systems, Inc. Real Gaming, South Point’s online gaming arm, operates the app. Mobile app users will be familiar with using this app. William Hill sports book uses the same software. This app is easy to read, with bold black text on the gray background. Buttons stand out and are easily defined by an outline. The tablet version of this software makes the NV Sports app easier to read. The formatting is not only larger, but each screen shows even more information. It’s great for parlay bettors. There are two glitches with this software that bettors should be aware of. The user has to sign into the app every time it’s opened to look at lines, point spreads, and odds. Bettors should know who they want to bet when the app is opened or make sure there are notes nearby with the potential wagers. Additionally, the tablet version of the app doesn’t work with wifi-only tablets. The app is responsive and easy to use. Point spreads, lines, and odds are updated on the fly, so there might be a split-second lag loading a page. Most people won’t even notice this. 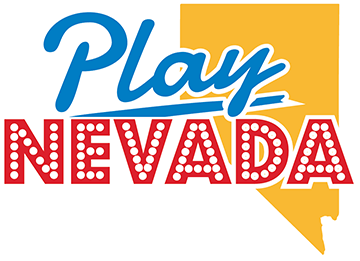 Players may only sign up for an NV Sports account at South Point or Rampart Casino. The initial sign-up process is simple and generally takes about 10-15 minutes to file paperwork. Everyone who signs up must be at least 21 years old, have a valid ID, a Social Security card or fill out a W-9, and fill out the appropriate paperwork. NV Sports accounts must be funded in person at South Point or Rampart casinos. The minimum deposit to start an account is $100 in cash. NV Sports offers a large sports wagering menu with plenty of options you won’t see elsewhere. In fact, few Nevada sports books offer as many unique proposition wagering opportunities. Both NV Sports casinos typically cater to locals. However, the sportsbook caters to local residents, professionals, high rollers, and a growing tourist base. The odds, point spreads, and lines are as fair as you’ll find in Nevada. Tourists especially frequent South Point, as that’s the home base for Andrews, Vaccaro, and Vegas Sports and Information Network (VSiN) on Sirius XM. The minimum wager with the NV Sports app is just $2. The maximum wager may be different for each customer. You should speak with the sports book directly if you’d like to place high-limit wagers. South Point is known to take large wagers, but any player should speak with the staff before placing the wager. Players may withdraw funds from the NV Sports app in person at either South Point or Rampart sports book. Players can withdraw any denomination. Tourists can remove winnings and leave money in the app for their next visit.